London-based Ling Tan created Reality Mediators as a means of questioning the purpose of wearables in enhancing or interrogating our relationship with the world. Will these devices make us even more inclined to do little for ourselves, or will they drive us to explore our environment more fervently and in new ways. Alternatively, will they totally change how we perceive and interact with the world, taking us over, in ways we do not notice. 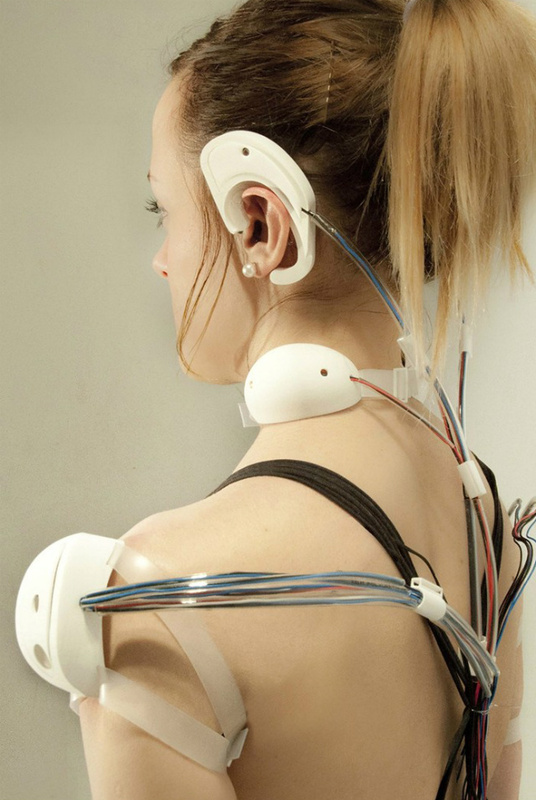 One phase of the project, referred to as Limits Of Bearability, is designed to help us understand "how the artificially intelligent nature of active technological prosthesis can alter the user's consciousness, and how bearable such devices are perceived by the user in the long run". 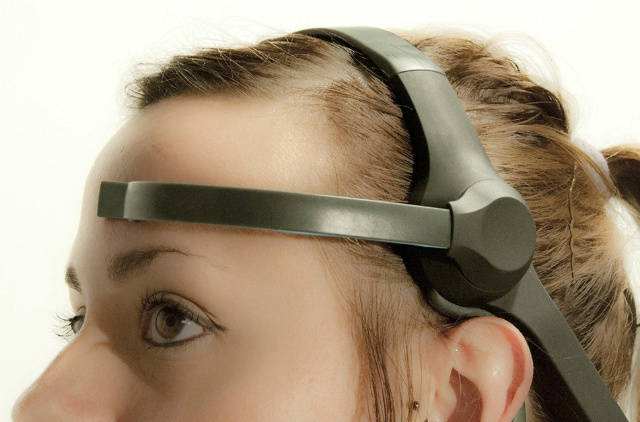 Project volunteers wear the Reality Mediators for between three and four hours at a time, of which there are three different types: muscle sensors, brainwave sensors and GPS. When activity is disrupted and the wearer appears to be breaking from their active routine, one of four actuators that run on Arduino microcontrollers will turn on them to deliver either an electrical shock, an unpleasant sound, heat or vibrations. All the outputs create inherently unpleasant effect on the user so as to measure the level of obvious disruptiveness to user's everyday activities - says Tan on her website. The wearer does not have to physically stop moving to get a shock, they might let their mind aimlessly wander, thus changing the brainwave patterns and leading to the electrical stimulation that reminds them to keep active. According to Tan, after a while, the wearer's body starts to change its routine according to the device's demands. It adapts to the wearable, rather than the other way around. "This then questions the issue of who is in control; the user or the device?" she tells in an interview. She goes on to explain to the magazine how the consumer-style packaging and branding she's created for the project is designed as a piece of commentary on how the public can be led to adopt something that appears like any other product, despite its potential underlying negative effects. Such intrusiveness can also be good for your health though, according to Microsoft, which wants to bring us the comfort-eating combatting wearable bra. A series of sensors would measure sweat and heart rate. When worn over time the sensors can track behaviour and see if stress/boredom leads to habitual eating. When the system picks up a repeat of these symptoms, a connected app will signal a gentle warning telling the individual not to go to the fridge, or to have an apple.